Third and fourth year students are invited to attend German Immersion Camp in the spring. The camp is held in the Puget Sound area and is attended by upper-level German students from all over Washington. The students are expected to SPEAK ONLY GERMAN while at camp (no, seriously! Speaking English could result in being sent home!) There are a ton of fun activities, and each student can choose between many hobby activities. This is a great opportunity to improve your language skills, make new friends, and it doesn't look too shabby on a resume! Wieviel? 25$ per person... that's more than 1/2 off the price! German Club will pay your other 1/2 as a big DANKE SCHÖN for your dedication to German! We will be sleeping in heated cabins - so bring your sleeping bag and a pillow along with a change of WARM clothes and your bathroom things - there are showers available. (FYI: valuables such as laptops, cell phones, etc. will be locked into the van while we are at camp). 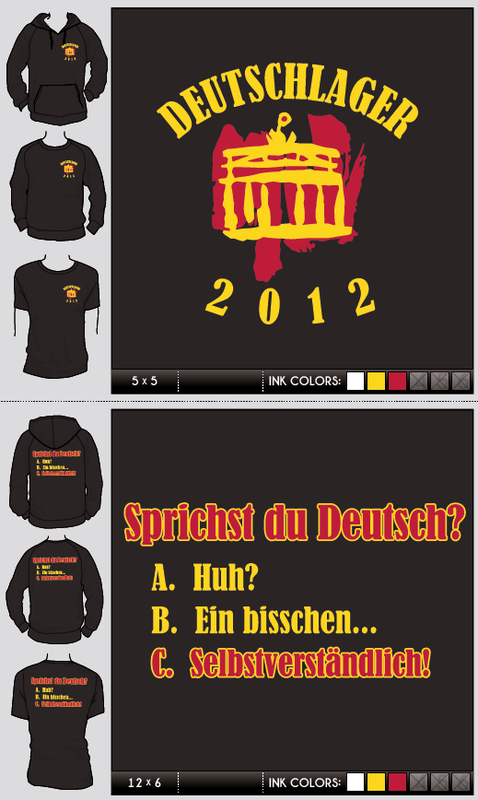 Coming to German Immersion Camp and want to buy an AWESOME T-SHIRT or SWEATSHIRT to wear while there and commemorate your 28 hours speaking only German? 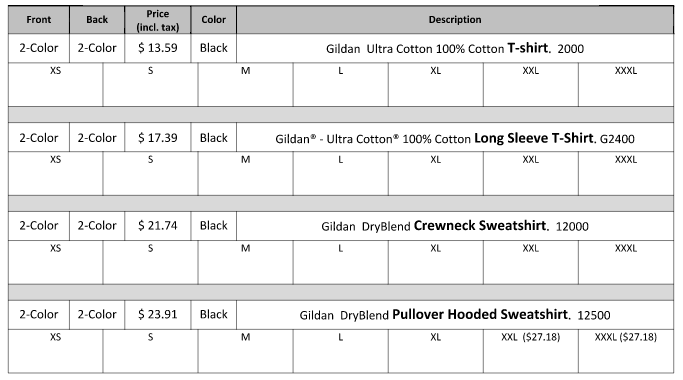 Well check out the available design (with the updated year, of course) and the pricing guide below.